Hollywood is a strange place that encompasses not just those who are in the business of making movies and TV shows, but those who are just in the limelight in general. 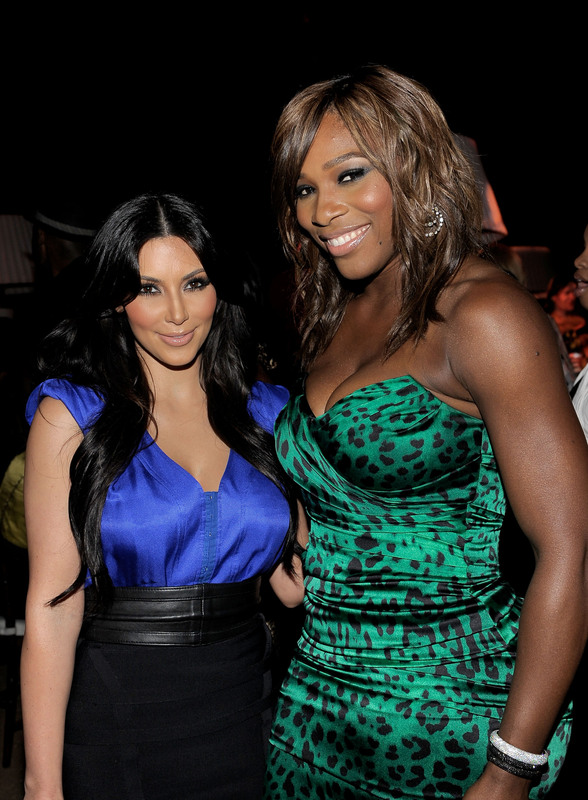 For instance, as one of the reality star's latest Instagram posts shows, Kim Kardashian hangs out with Serena Williams. Often times sports stars make their way into famous inner circles like these, and it makes sense since they are definite celebrities in their own right. But it is a curious thing to ponder just how people from two different worlds came together in friendship. Like, does Kardashian love tennis? Is Williams a huge Keeping Up With the Kardashians fan? How exactly did the two meet? Well, it actually was not because of either woman fangirling (even though they still might squeal at the sight of each other on screen). No, Williams and Kardashian's friendship started out in a much simpler, more normal way. I know, it's weird to think of either star as "normal" seeing as they've both achieved a larger than life status, but we all start out somewhere and that includes the most successful and famous among us. You know, even those famous and successful people who end up marrying Kanye West and who are allegedly dating Drake. As it turns out, Kardashian and Williams became friends because the reality star used to work for the Wimbledon champion. Suggest lists Williams as one of nine celebs who was Kardashians "boss" before she became famous in her own right. Business Insider further explains that title, stating that before achieving fame, "Kim was organizing and cleaning out closets for everyone from Cindy Crawford to Serena Williams, as well as friends like Nicky Hilton and Nicole Richie." Guys, you can officially commence in a collective, "Ohhhh" of realization, as I did after reading that fun tidbit. Who the heck knew? !